“Oral History: Tawny Hammond,” braddockheritage.org/, accessed April 24, 2019, http://braddockheritage.org/items/show/109. 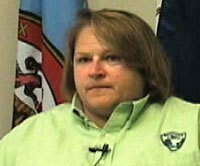 Tawny Hammond moved to Fairfax County in 1989 to work with the Fairfax County Park Authority. She discusses the nature of civic involvement in growing, diverse communities.